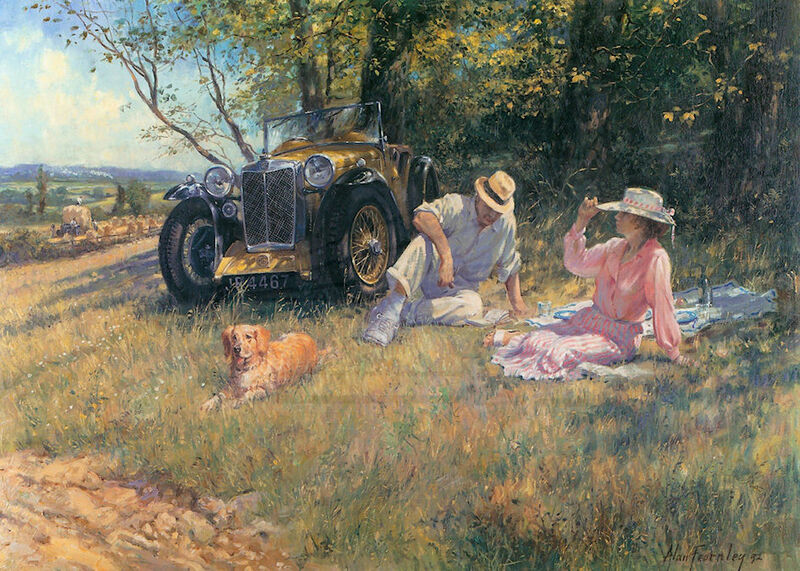 Alan Fearnley is one of the contemporary motoring artists who is extremely successful at his art. He was born in 1942 in Yorkshire where he attended Art College. 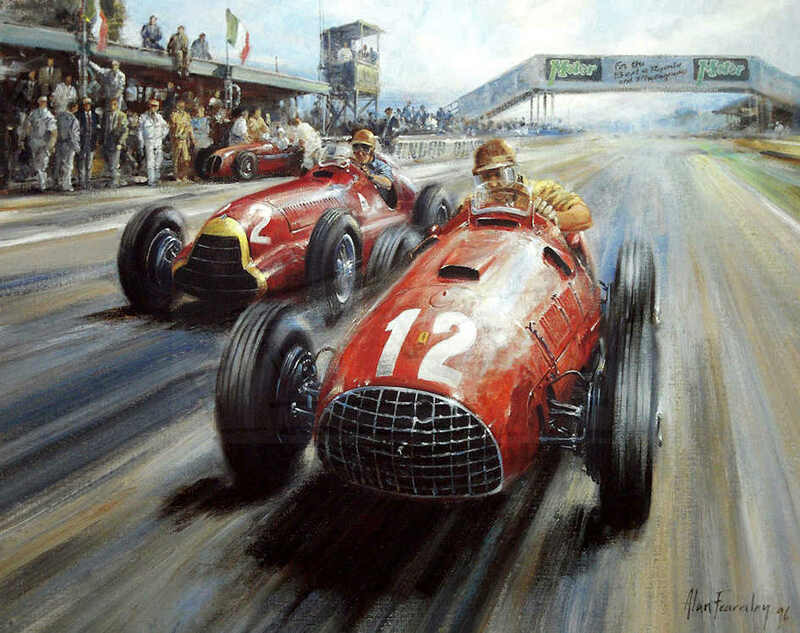 Although interested in cars it was not until he attended his first motor race in 1963 that he was inspired by the sights, sounds and colour. 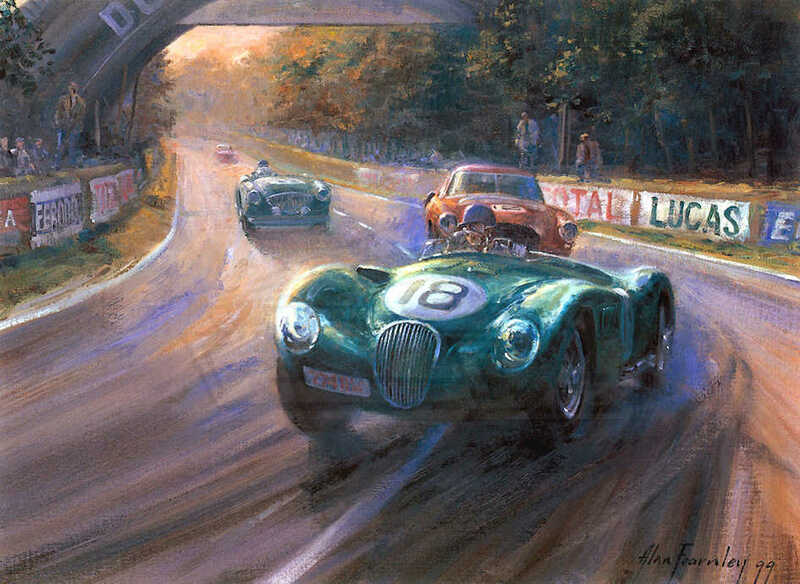 From 1963 to date Alan Fearnley has produced a huge portfolio of motoring art. His principal works are oils and acrylic on canvas many of which have been reproduced as prints but also smaller sketches and remarques in pencil. 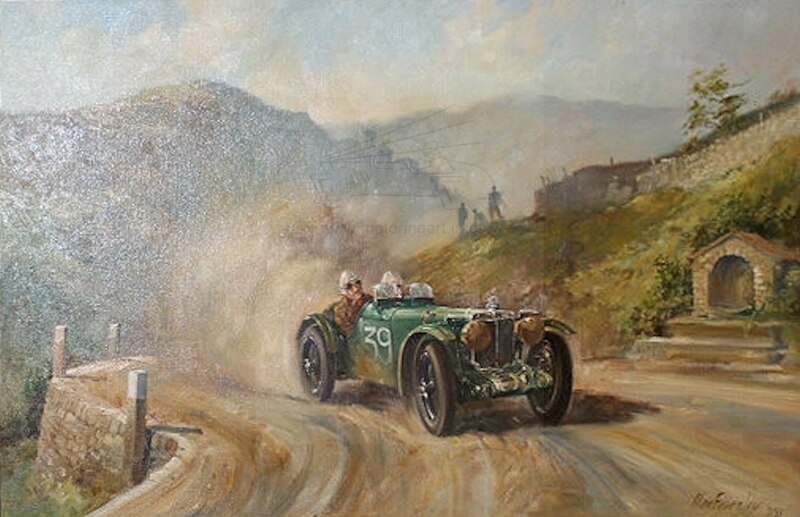 Alan Fearnley works solely via Grand Prix Sportique the company specialising in prints and original works of motoring art. Together they have secured commissions from many famous clients and motor manufacturers. 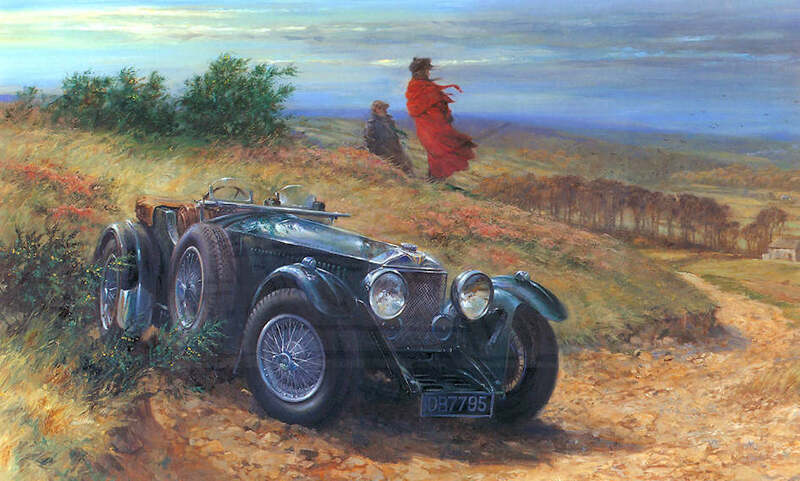 A commission for three paintings by Mercedes-Benz led to a book ‘The Art of Alan Fearnley’ being produced in 1990. This was a promotional work given away to Mercedes client’s but some were released to the book trade. 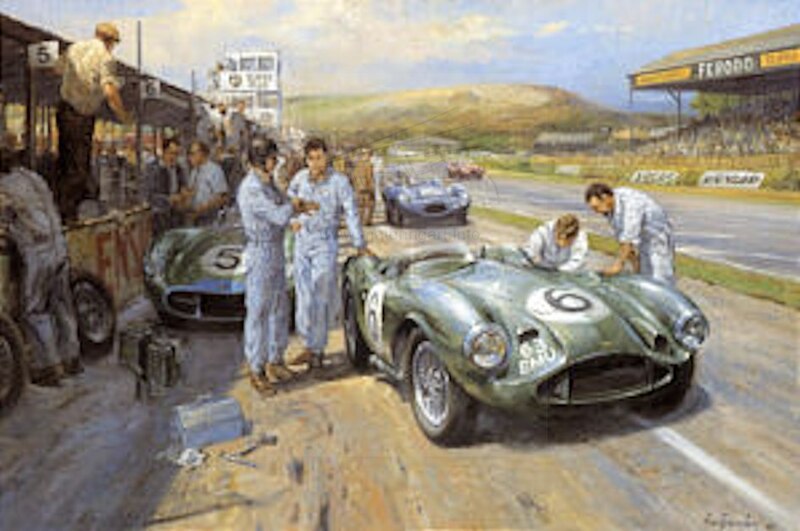 A second independent book about his motoring art entitled ‘The Classic Car Paintings of Alan Fearnley’ was produced in 2001. 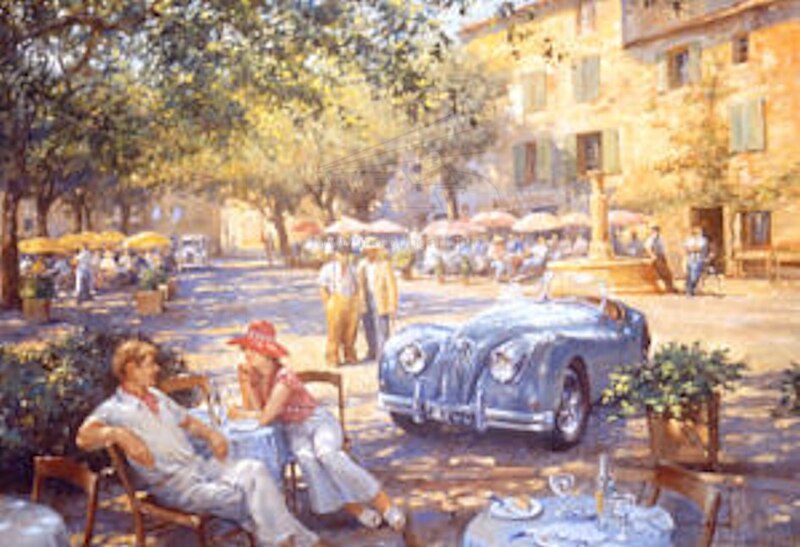 Fearnley’s art is a very soft impressionist style which is particularly good at reflecting the scenes pre-Second World War. This technique is equally successful for motor racing as with the day to day life on the roads and rural country lanes. 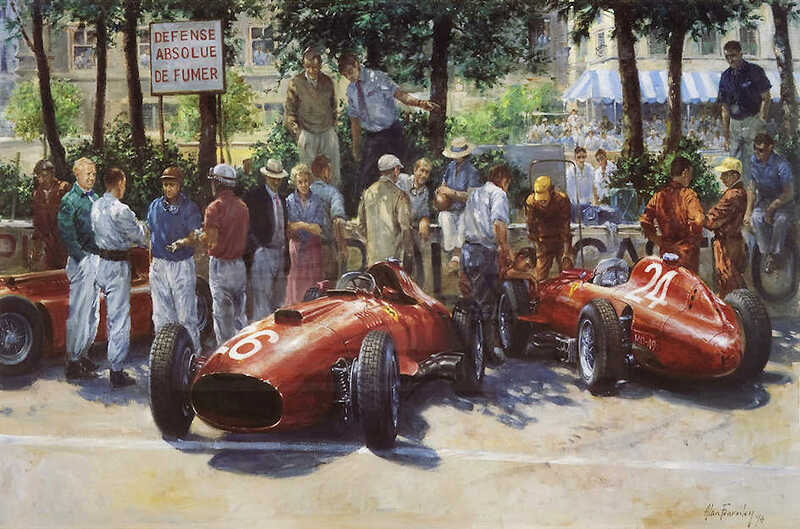 Alan Fearnley has held many major exhibitions of his art including an annual exhibition in Monaco to coincide with the Grand Prix. 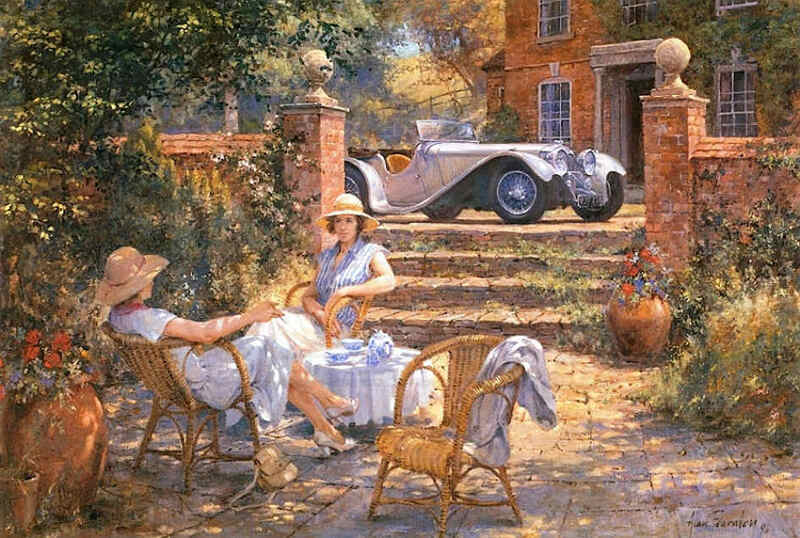 In addition to his motoring work Alan Fearnley has painted many railway scenes and was the first Chairman of The Guild of Railway Artists plus a member of The Guild of Aviation Artists. Also his art has included maritime, military, sporting and rural landscapes, so his skills are very versatile. Thanks to Stuart Middlemiss for supplying many of the images used. Feltham Fliers, The Aston Martin DBR3s. 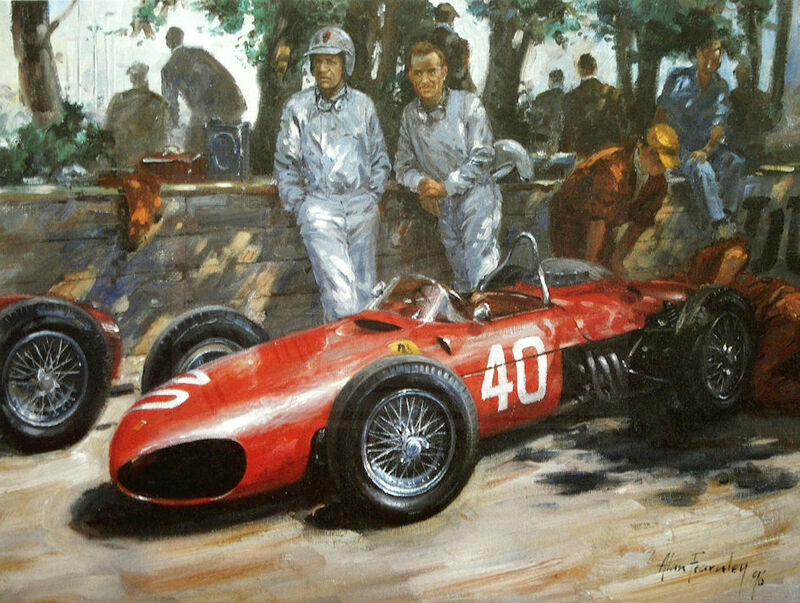 Ferrari Team Mates - von Tripps & Hill standing by Tripp's Ferrari 156 at Monaco 1961.